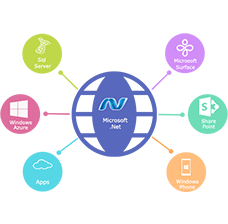 Using .NET Framework (2.0, 3.5, 4.0) developers can build dynamic web sites, web applications, web services , CMS applications, ecommerce applications, windows applications , windows mobile applications and many customized web applications. We have highly qualified , experienced and well trainned .NET developers can build dynamic web sites, web applications, web services , CMS applications, ecommerce applications, windows applications , windows mobile applications and many customized web applications. AxisTechnoLabs experts programmers and developers to hire on hourly , monthly and project based as per your custom requirement. We have skilled Iphone/Mobile developers can build mobile web applications for easy to use in mobiles. AxisTechnoLabs experts Iphone and Mobile programmers and developers to hire on hourly , monthly and project based as per your custom requirement. ASP.Net 3.5 released with microsoft new feature LINQ. LINQ makes your relational data queries a first-class language construct in C# and Visual Basic, complete with compiler and Intellisense support. For Web applications, the ASP.NET LinqDataSource control allows you to easily use LINQ to filter, order and group data that can then be bound to any of the data visualization controls like the ListView and GridView controls. In addition, all the other improvements to .NET Framework 3.5, including the new HashSet collection, DateTime offset support, diagnostics, garbage collection, better thread lock support, and more, are all available to you in your ASP.NET applications. hire dedicated ASP.Net developers Call on our expert team for asp.net development, Iphone and Mobile development. Fill out the form on the right, give us a call at +91-9825950990 or contact us today to receive your free consultation. ASP.Net development company provides you best solutions for your business needs.